Bringing people together in memory of someone special is a heart-warming way to commemorate them. If your fundraiser includes an activity or theme that speaks to their personality, it becomes even more meaningful. So think big — and let us know if you need help finding a creative way to celebrate someone’s life. Recreate a loved-ones’ signature dish as a group challenge. Sell tickets to sample them! Host an annual activity to honour your loved one’s passion. Ask for donations to attend. Host a “thon” fundraising event…walk, run, dance, hula hoop etc. while raising funds! Have a tournament-style fundraiser in mind? These fundraisers allow you to host an event that has multiple fundraising teams playing against each other —and may need additional website support. Let us help you make it happen! Please complete the Tournament Application Form and we will contact you to confirm the details and offer advice. If you’re ready with an idea — big or small, traditional or out-of-the-ordinary — or need help developing one, we’re ready to help with the tools, resources and advice you need to be a success! By continuing to host my mother’s annual golf tournament in support of the Heart and Stroke Foundation, her memory lives on. One Canadian dies from heart disease or stroke every 7 minutes. In 2008, at the age of 51, Tom passed away from a massive heart attack. 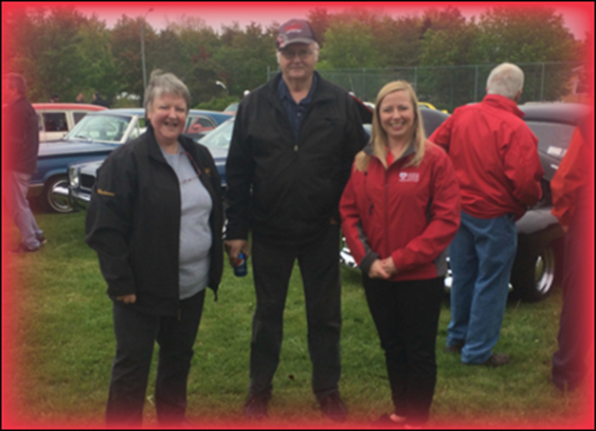 The annual Furey's Classic Memorial Run honours Tom’s passion for antique cars.